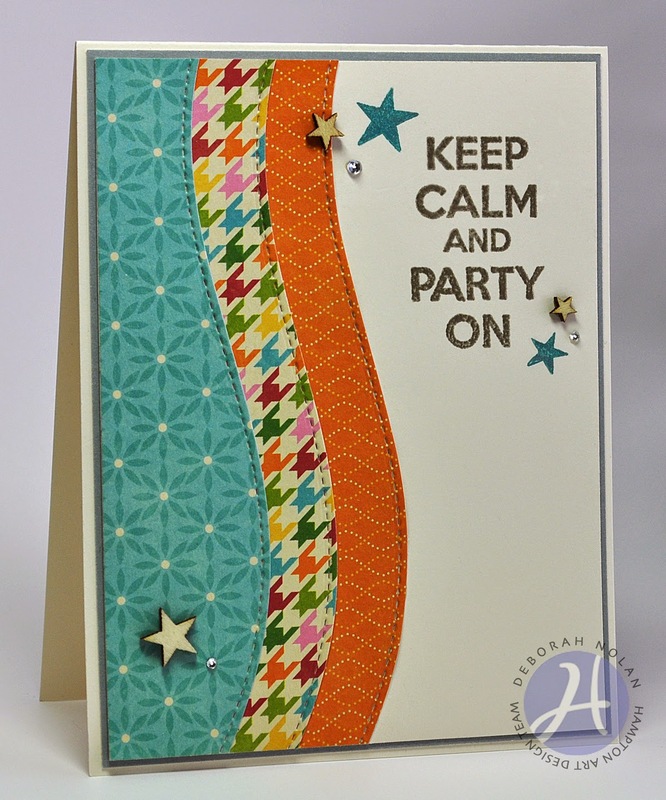 Hello, Stampin' Addicts and welcome back to the Hampton Art blog! Today's card features a Hot Fudge Studio sentiment and Jillibean Soup papers from the Birthday Bisque collection. Cut a grey panel (4" x 5.25") and a white panel (3.75" x 5"). Layer and adhere panels to card. Die (or hand) cut three patterned papers and adhere to white panel. Stamp sentiment, sprinkle with embossing powder and heat set.